This photo makes my head twist 45 degrees like a confused puppy. What city is this in? Matt, Is the Organic Farm below the McDonalds? Are they next to each other? It looks from the photo that there is some kind of a bizarre collaboration going on here, but that has to be too far-fetched…right? No idea! I was just driving by. 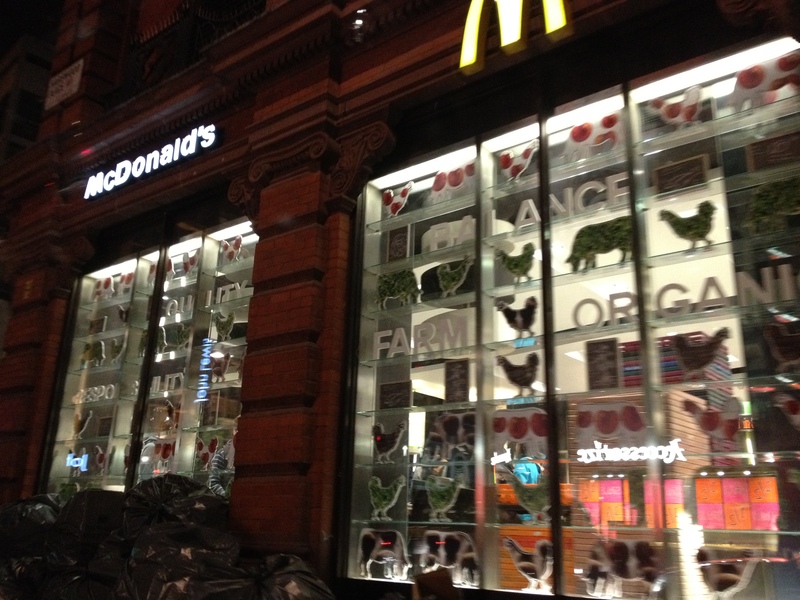 It appeared to be part of the McDonald’s store.